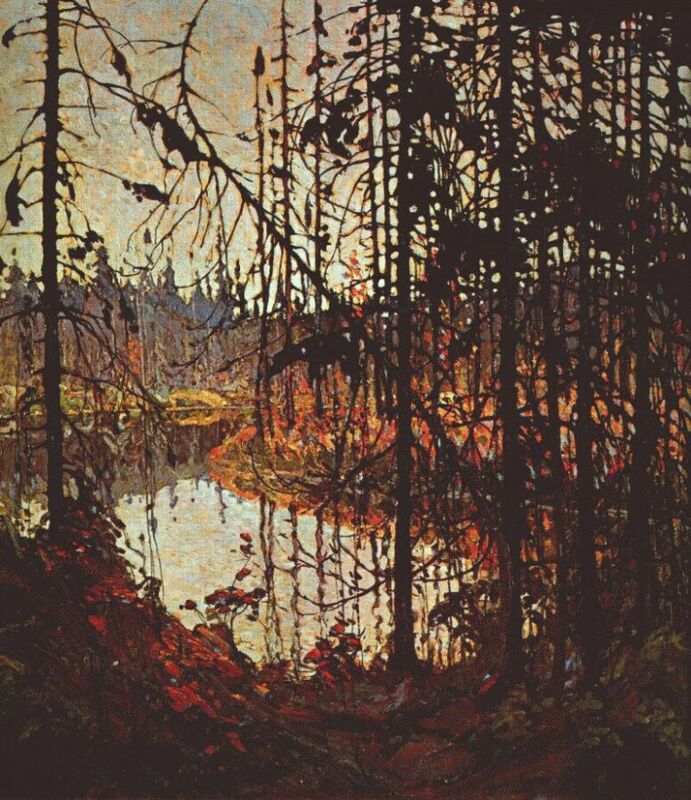 art | "clever, well-informed people"
Tom Thomson’s 1915 Northern River. I worked at a small museum of (mostly) Canadian art for a few years in university, and enjoyed learning about everything and looking at our pieces and reading about artists and viewing other works by the artists and all of that. But I never really felt like I “got” the Group of Seven. I understood it as some sort of mythical Canadian wilderness, but it didn’t apply to anything I had seen. And then I made a first memorable trip to the Algonquin Park area. And I saw places that looked exactly like these paintings. And went to Algoma, and Lake Huron, and saw places that looked like those paintings. And I finally understood what was being evoked. And now I love it. I feel incredibly guilty for not having posted anything in a while. I’ve still been reading, and have lots to say, but it will have to continue to wait ; the new house is still not unpacked. But I came across this tidbit today.